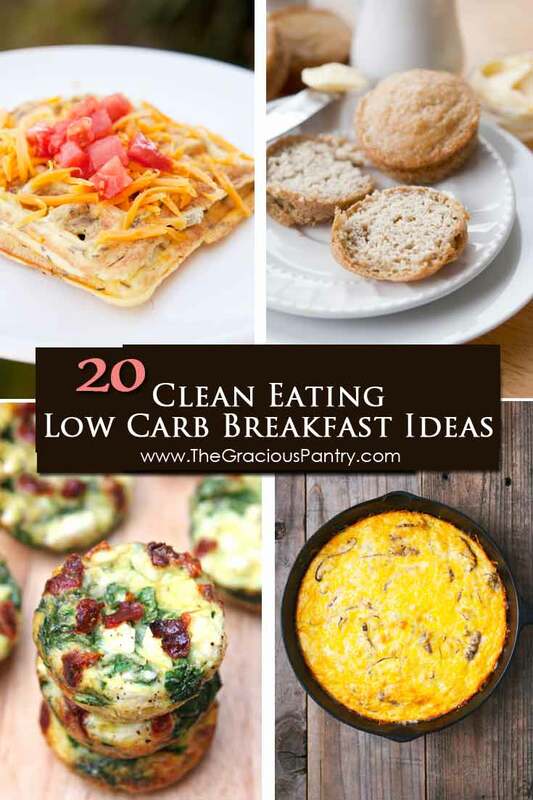 These 20 clean eating low carb breakfast ideas are sure to get your morning off to a wonderful start! So as many of you know, I went low carb or a while. I’m plant-based now, but I know how much some of you love the low carb recipes, so I thought I’d do a roundup for you. Breakfast always seems to be the problem child with many different styles of eating and low car is no exception. Yes, there are always bacon and eggs, but lets face it. After a while, you need to mix things up a bit! So in the interest of keeping you far from boredom’s doorstep, I thought I’d share with you this roundup of 20 clean eating low carb breakfast ideas. Even if you had a few of these twice, you could still get through an entire month without falling into a breakfast rut!